To promote, educate, and inspire all members of our Albright community on the importance of individual health and well-being while providing a variety of programs aimed at maintaining and enhancing physical performance, fitness, health, wellness, and the quality of life. The Schumo Center for Fitness and Well-Being is located on North 13th Street, between Bern and Richmond Streets. Parking is available both in front of the center and in the center parking lot, which is accessible from 12th Street. A current College I.D. card is required to enter the facility. 6 A.M. – 9 P.M.
6 A.M. – 7 P.M.
NO EVENING GROUP FITNESS CLASSES over spring break. **Pool hours remain the same. Monday -Thursday: 6 A.M. – 10 P.M.
Friday: 6 A.M. – 8 P.M.
Sunday: 10 A.M. – 9 P.M.
6 A.M. – 10 A.M.
Monday thru Friday: 9 A.M. Please note: Racquetball and group fitness classes are included in the fitness membership. Group fitness classes run in accordance to the Fall, Spring, and Summer college sessions. A family membership includes 4 family members, children 25 years of age and younger, living in the same household. Each additional family member is $50. Family members must be 14 years of age to use the fitness center facilities and must be accompanied by an adult. Family members who are 16 years of age or older may be issued an Albright ID card and are permitted in the fitness center without an adult. The Schumo Center for Fitness and Well-Being is an approved Silver Sneakers Facility. I started to practice yoga while training for my latest marathon. I understood that yoga can improve flexibility, but I found that yoga offers many additional benefits for a runner. It engages all of the core muscles, increasing strength and balance. Mentally, it sharpens focus and increases physical self-awareness: important elements to help you maintain good running form. The weekly yoga flow session at the Schumo Center is the only class I have ever attended, and it has become a key component of my training. The class is accessible for beginners. It provides regular practice of familiar poses (plenty of leg work), but most sessions also introduce variations that gradually expand your yoga experience. One practical aspect of the class is that it fixes a yoga workout into your weekly schedule with some priority, so that it’s not forgotten or postponed. If you’re serious about your running, I recommend you get this yoga class onto your calendar. With just a few months of consistent yoga practice, I noticed a significant improvement in how my body recovers between running workouts. I experienced less soreness after hard runs and less accumulated fatigue through weeks of increased mileage. When I lined up for the start of my marathon, I was feeling fresh and fast. The yoga clearly helped, and I finished 5 minutes under my previous best time. Yoga is a class for the mind as well as the body. I have known about yoga and had a rough perception of what it was. Through suggestion from the football coaches I checked it out. It was pretty tough even for me. I bench 405 and squat over 600 pounds and this hour long workout had me sweating profusely. I play offensive line for the Albright Lions I am a freshman who played the last 4 games of our 11-2 record season in 2009. Yoga class is a time when I can escape the hectic life of a college student. It leaves you feeling rejuvenated and clear-minded. I used to have problems taking the proper steps needed to be in a good position to make the necessary blocks. Through yoga, my flexibility has increased dramatically. As a football player we are in the weight room at least four days a week. The addition of muscle to your body decreases your flexibility and range of motion. Yoga targets the major muscle groups as well many that often go unnoticed. Being flexible increases your speed as well as the power that you can manufacture. Yoga is a great activity for prevention of injury. The results of yoga are phenomenal. I have seen significant improvement in my ability to take my proper steps as well as the increase in my speed and agility. Yoga is a tool that every athlete should use their game to the next level. 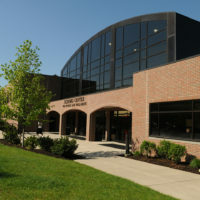 The goal of the Intramural Program at Albright College is to provide participants with a comprehensive array of fun and unique activities, a friendly and knowledgeable staff, and a safe playing environment. All activities will be social, competitive, and sporting in nature while encouraging and promoting the value of fair play and a healthy lifestyle. Our previous Berks Technical Institute student extern, Carolyn Bobyak, has returned to the Schumo Center as Licensed Massage Therapist. Tuesdays & Thursdays: 11a.m. – 7 p.m. If these hours do not fit your schedule, please contact Carolyn for additional options. Please contact the front desk to schedule an appointment: ( 610 ) 929- 6715 or e-mail Cbobyaklmt@outlook.com. I am a graduate of Berks Technical Institute where I obtained my certificate for massage therapy. I am currently licenses through the state massage therapy boards. I have a passion for helping the body work towards healing itself naturally. Some skills include: Swedish massage, Sports massage, Deep tissue, Pre-natal, Geriatric and soft tissue release. I customize each session to fit the client’s needs in order to help them relax and gain relief from pain and tension. Whatever situation you are experiencing, physical pain, a stressful day, or both. Massage can help. My main focus is for each client to feel safe, comfortable, relaxed and to leave my table feeling better than before they came in. I enjoyed my experience with the staff, member and students of Albright during my externship and look forward to seeing everyone again and gaining new clients as well. Strength Training Program – interactive Excel spreadsheet. Enter your one rep max in the yellow fields and the remainder of weights will be calculated for you. Fitness trainer will administer body fat testing; establish weight, measurements, and flexibility testing. These results are used to develop or advance a fitness routine and/or target goals for future assessments. A fitness program will be designed from the results of the fitness evaluation and developed to aid the exerciser in meeting their specific fitness goals. Please come dressed for exercise, each exercise will be explained and participate will be asked to demonstrate. To set-up an appointment, please contact the front desk at 610-929-6715. Alison has 20 years experience in a variety of commercial and medical fitness settings including cardiac rehabilitation, post physical therapy and conditioning, and pulmonary rehabilitation. She started off in 1987-1992 as group fitness instructor and fitness specialist in the commercial fitness setting while completing a Bachelor of Science degree in Exercise Physiology from West Chester University in 1994. She completed an internship in Honolulu, HI and continued to work as an Aquatic & Fitness Specialist at Prins AquaTherapy and Rehab Center from 1993-1995. From 1995-1996, Alison worked as an Exercise Specialist for the Ocean County Medical Center in the Life Sports and Fitness Center where she was responsible for mainstreaming participants of cardiac, physical, and pulmonary rehabilitation into a general fitness program. She was also active in the formulation of an Aquatic Arthritis fitness program and instructed Aquatic summer camps and private lessons. In 1996-2007 Burke continued developing her career in commercial/corporate fitness as owner of Jersey Girl Fitness in Leesport, Pa., offering consultations on corporate wellness and fitness programming, consultations on ergonomics in the workplace, and individualized exercise prescription for private clients within the home and/or health club setting. Alison holds a Primary Group Fitness Certification with AFAA and is certified in a variety of group fitness formats including Zumba-Latin Dance, Cardio Kickboxing, Body Sculpting, Cycling, and Aquatic Fitness. She also holds a Pilates certification in Mat I & II through Powerhouse Pilates and has completed her 200 hour training as a Registered Yoga Teacher through Yoga Alliance. Alison was certified through RAD program to teach Basic Self Defense and has been instructing on campus since 2008. Alison is very passionate about educating and motivating our Albright Community on the many ways to stay healthy, fit, and well. She is also the advisor to the Albright Ski Society and the Big Adventure Domain. These two student groups organize a variety of ski/snowboarding trips to local ski resorts and opportunities for our students to hike and participate in outdoor adventure trips. Alison can be reached at aburke@albright.edu or 610-929-6711. Karen graduated from Albright College with a bachelor of science degree in business administration, and she has worked at Albright College since 2007. Karen provides administrative support and coordinates community memberships and renewals at the Schumo Center for Fitness and Well-Being. She enjoys interacting with students and community members every day at the Schumo Center. In her spare time, Karen enjoys spending time with her family and friends. If you are a current Albright student looking for employment, please fill out the application here.